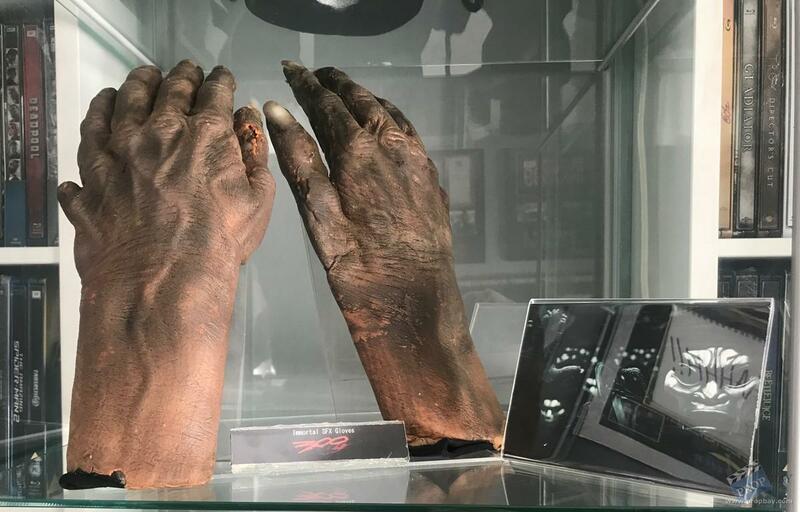 This pair of Immortal Hands was used in the 2007 film adaptation of 300. 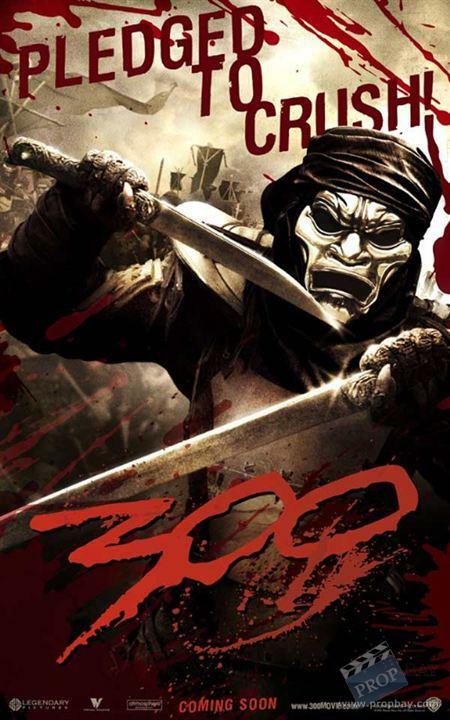 Based on the epic graphic novel by Frank Miller, 300 is a ferocious retelling of the ancient Battle of Thermopylae, in which 300 Spartans fought to the death against Xerxes and his massive Persian army. Facing insurmountable odds, their valour and sacrifice inspire all of Greece to unite against the Persian enemy.The Immortals are the mutated elite soldiers of Xerxes. 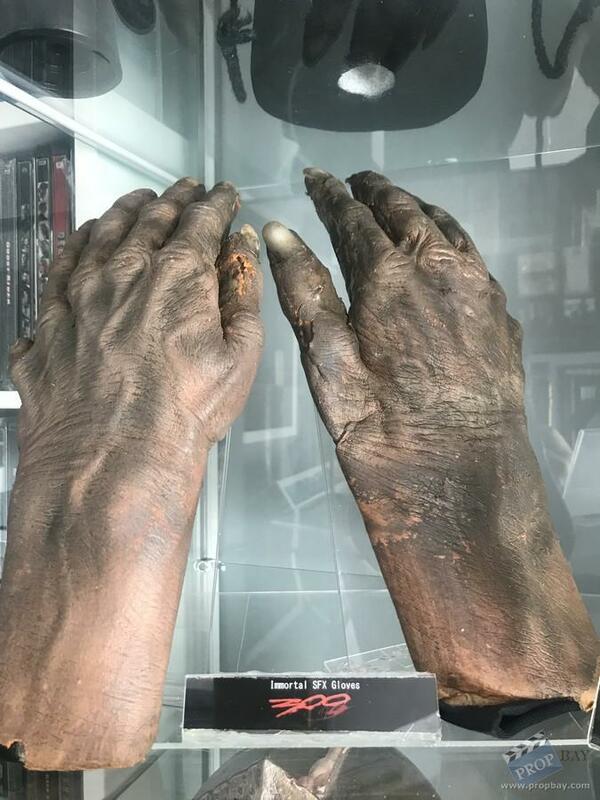 These hands are made from off the shelf thin cotton gloves that have been covered with thin foam latex skins. The gloves needed to be thin so that the actors could easily handle swords and other props on set. They have been airbrushed in various flesh tones and show wear from production use. The nails are acrylic tips that have been added separately and distressed to appear dirty. The foam latex skins remain reasonably soft. Each hand measures approximately 12" x 5" x 2". Added: 07-16-2018 - Viewed: 305 times.